The site is the first human habitation of Crete at the end of the Neolithic period (5th millennium BC). We will visit the church of St Titus, the Odeon, the room of the Law Code and of course the plane tree of Zeus and Europa. The Law Code of Gortys treats matters of civil law, with no clauses on criminal or commercial law. Laws for marriage, divorce, theft, property of slaves and their condition, inheritance, etc are treats in 630-640 lines of which 605 are preserved. The laws are strikingly liberal and progressive. They are not simply the laws of a Cretan city-state; they form the oldest Greek law code and are therefore considered the greatest contribution of Classical Crete to world culture! Some kilometers west of Gortys we find the hills where is situated Phaestos Palace (the second major Minoan Palace in Crete after Knossos). Phaestos was the centre of religious and economic activities and his importance lies not only in its size but also in the fact that we have there a clear stratigraphical sequence of two successive palaces. 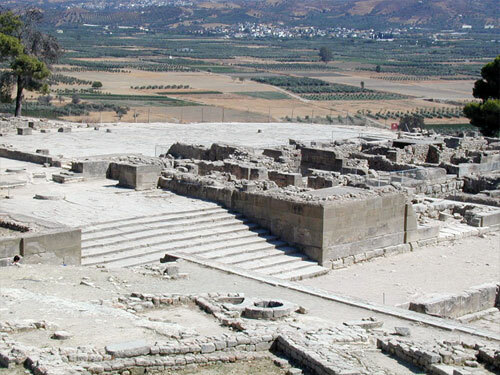 A destructive earthquake around 1700 BC brought the old palace to an end. Rebuilt, Phaistos continued to flourish during Archaic, Classical and Hellenistic times. 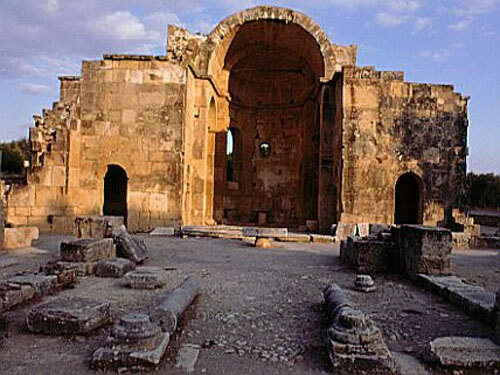 It was destroyed by the Gortynians during the 3rd century B.C. In the afternoon, we continue for Matala, ancient port of Gortys and Phaestos at the Libyan Sea. The artificial caves, carved into the north face of the coast, have been probably used as prehistoric dwellings and places of worship, while during the 1st-2nd century were used as tombs. Later, during the 60's the caves were hosting a hippie commune and today, they are protected by the Archaeological Service. 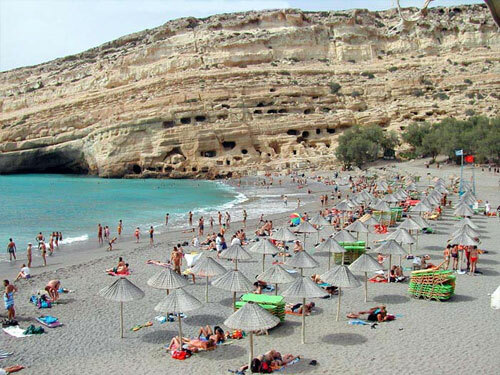 The magnificent inlet of Matala features one of the best beaches in Crete. The turquoise blue sea invites you to sink and the charming village with the picturesque local taverns is waiting you to taste the local dishes.